to cookbooks, but today’s newest item may actually be pretty good. The ravioli looks and sounds delicious, and is an easy way to add a bit of Twilight to your dinner, slumber party, or Twilight marathon. 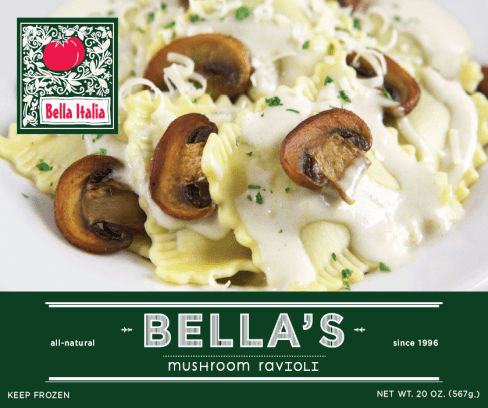 Bella’s Mushroom Ravioli, $10.99 for a 20 ounce serving (minimum two) at BellaItaliaPa.com. I have actually eaten here, the food was quite good. It was our friends birthday, and having no vegan desert options, the staff stuck a candle in his pasta and came out singing.